INNISFIL, Ontario — The good times keep rolling for Ron Quesnelle at Sunset Speedway as he scored a pair of top-fives this past Saturday night. Having qualified third in the first 35-lap feature, he’d remain there throughout the feature despite being challenged at times from behind, en route to a solid third-place finish. Starting sixth for the second event, he’d make his way forward to battle three-wide with a pair of competitors for fifth, with slight contact happening, resulting in a competitor catching a bit of air off of Quesnelle’s left front fender. There’d be minimal damage, allowing him to stay on track. Restarting fifth with 32 laps to go, he’d battle side-by-side with Nic Montanari, taking the fourth spot on Lap 6, followed by grabbing third two laps later. He’d remain solidly in the third spot, until he was passed by current points leader Gord Shepherd with eight laps to go, dropping back another spot quickly thereafter. It worked in his favor, though, as he’d get back by Gord Shepherd with three laps to go to cross the finish line in fourth. 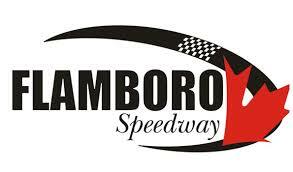 The final Sauble Falls Tent and Trailer Park Late Model night of points competition takes place on Saturday, August 15 with racing starting at 5pm.